AMC has announced the end of two of its series, the post-apocalyptic Into the Badlands and the western The Son. The cable network made both announcements during the Television Critics Association winter press tour. 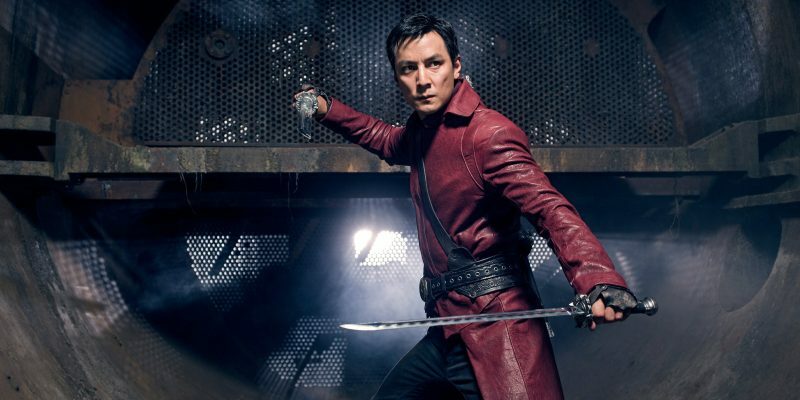 Into the Badlands will conclude its run after the final eight episodes of its current third season, which kicks of Sunday, March 24 after The Walking Dead. The show will then run its course after moving to its regular Monday night timeslot on March 25. The story of survival and dominance set in a future feudal society was created by executive producers, showrunners and writers Alfred Gough and Miles Millar and is executive produced by Oscar-nominated producers Stacey Sher and Michael Shamberg, along with David Dobkin, Stephen Fung, Michael Taylor and Daniel Wu. The Son’s second and final season will premiere on April 27, and continue telling the story of the McCullough clan across three points of time. The show stars Pierce Brosnan as Eli McCullough, the patriarch of a Texas ranching and oil family and is based on Philipp Meyer’s New York Times best-selling and Pulitzer Prize finalist novel of the same name. The post AMC Cancels Into the Badlands and The Son appeared first on ComingSoon.net.